A more revealing look at Google’s upcoming Android 4.4 KitKat software has come to light, signaling the kind of changes in store for Google’s rumored Oct. 15 event. 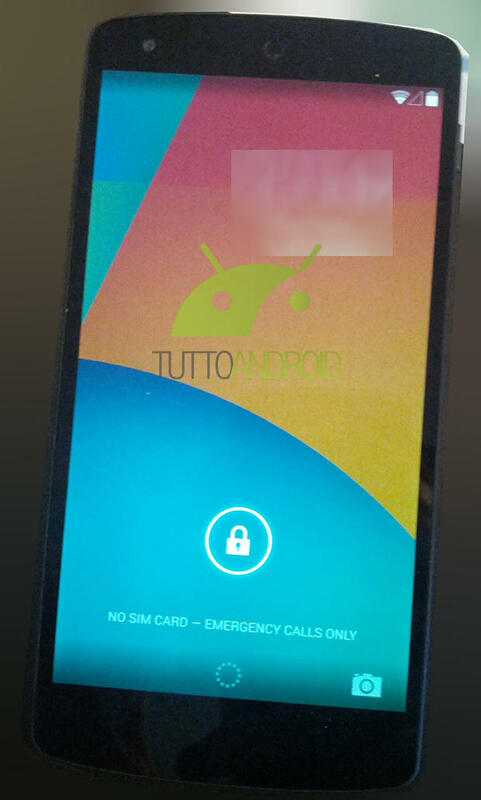 In addition the the possibility of a revamped mobile payment system, tweaked appearance and SMS integration with Hangouts, a handful of other notable changes have been outed by TuttoAndroid, including an always-listening feature, similar to what we saw on the Moto X. 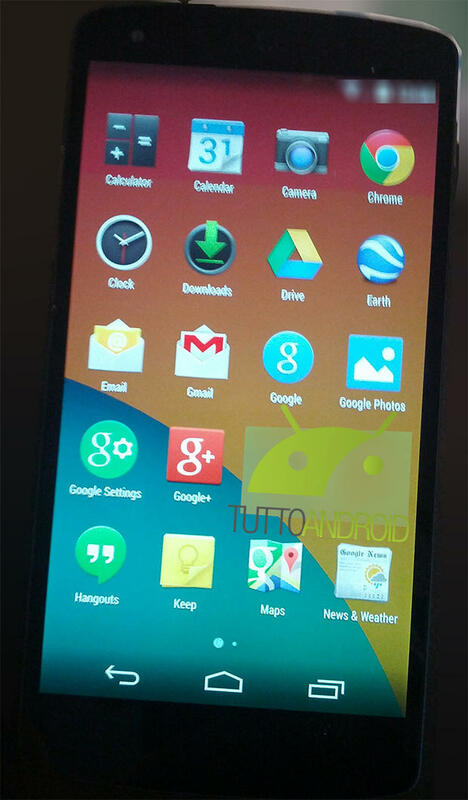 Among the changes, which are mostly of the visual variety, TuttoAndroid’s supposed KitKat images show off a transparent notification bar, with icons that are now all entirely white; the navigation bar is transparent as well, and so is the app drawer, which now just shows your current background instead of appearing as though you’ve entered a black vacuum of space. There are also several new wallpapers, as well as a new icon for the app drawer itself. Other alleged additions include a (ghastly) new phone icon, consolidated Hangouts app (which replaces messaging), the ability to add more than five homescreens and a way to access the camera from the lock screen by pulling a small icon to the left. The Gallery app has also been replaced by Google Photos, while widgets have been removed from the app drawer, instead access with a long press from the homescreen like in earlier versions. Perhaps the biggest feature, though, is the supposed inclusion of an always-listening function, which allows you to more easily access Google Now—simply say, “OK, Google” from the homescreen. 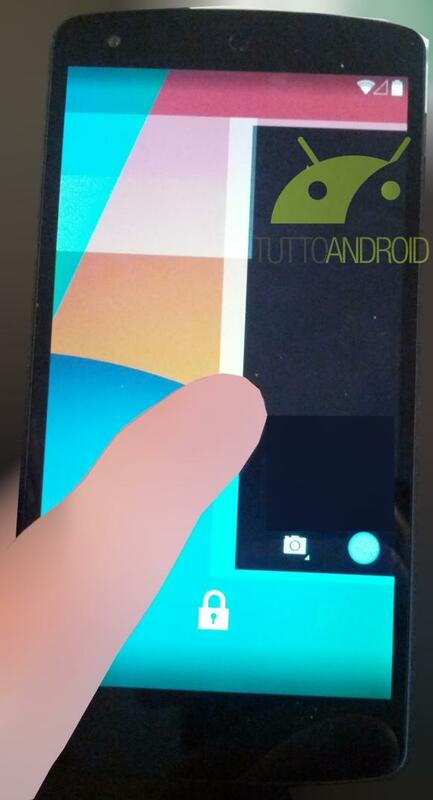 It’s unclear if the feature can be accessed from the lockscreen, however. 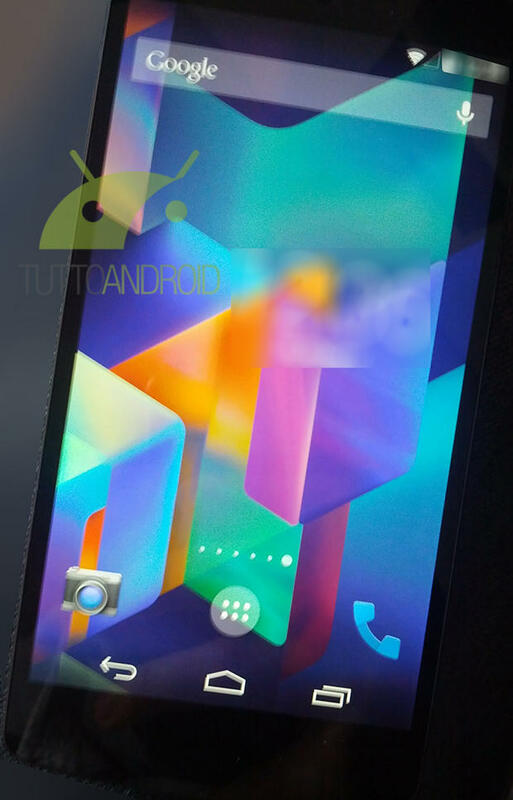 Android 4.4, if these images are indeed legit, certainly looks different, and introduces plenty of refinement to what is a very, very strong mobile operating system. It doesn’t appear the OS will change all that much functionality-wise, though getting a bit of a makeover isn’t such a bad thing. With a supposed event in a matter of days, we’ll find out what Google’s next update has to offer soon enough.